Tenbōdai Course is a level in Super Mario Land 2: 6 Golden Coins. 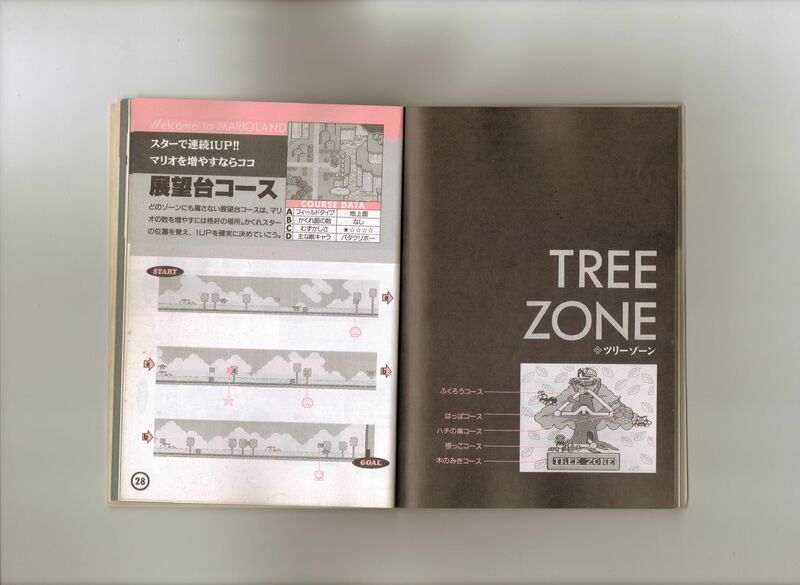 It is an autoscrolling level which is not part of any Zone, being found on the overworld directly opposite the entrance to the Tree Zone. Unusually, the level contains no Bells, either as a checkpoint or at the Goal. Most guides note the relative ease of getting extra lives in the course. The level is a straight, flat run to the Goal door, with three Super Mushroom/Fire Flower (dependent on status) ? Blocks scattered throughout. The only enemies are Goombas and Para-Goombas. A Hidden Block beside a standalone used block slightly after the halfway point contains a Super Star, which can be used to gain a number of 1-ups from the Goombas following. This page was last edited on April 12, 2019, at 03:50.